Here’s my summary of the Slavoj Zizek vs Jordan Peterson “debate,” held April 19, 2019 in Toronto. To put it simply these two anti-Marxists rambled on with sophistries for over two hours, while never making sense to anyone, especially to those who work for a living. As noted by Peterson in his opening remarks, tickets for this “debate” were scalping for over $1500, which means the audience was well-heeled. No one who works for a living (and is on a budget) could afford to attend this debate. The class bias of the audience was confirmed, with loud applause for every irrational comment disguised as meaningful philosophy by either individual. It more resembled a political convention, than a serious discussion, with the audience functioning as cheerleaders for their favored candidate. That is the definition of post-modernism, where nothing makes sense, and everything is subjective– including facts. Post-modernism is the ideology of late-stage capitalism, where everything is breaking down & elite criminality pervades. Post modernism is used to fill in the cracks of society with irrationality, in order to disorient & demoralize the working masses. Enter Slavoj Zizek & Jordan Peterson. Neither of these proclaimed “intellectuals” knows a real living Marxist, much less engages with them on an intellectual basis. 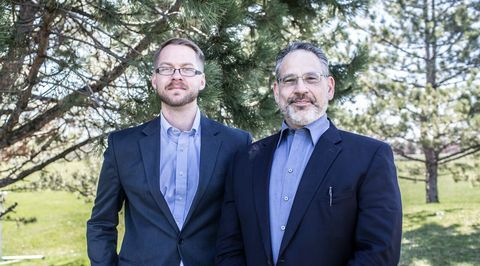 Any leading member of the ICFI, which publishes the World Socialist Web Site (WSWS), would make Zizek and/or Peterson look silly in a real debate. Capitalism blacklists the WSWS, in order to elevate this nonsense, and present these frauds & their elitist garbage as serious analysis. Nowhere in this debate do the speakers discuss economic equality with any seriousness. Nor do they discuss internet censorship, militarism, and the criminal wars of aggression which are all policies of the US and every other government on the planet today. These issues are fundamental to the survival of the human race, and yet they are danced around by these intellectual impostures. Slavoj Zizek on Hegel is painful, in how he contorts his arguments in order to separate dialects from Marxism. As anyone who has ever tried knows, Georg Wilhelm Friedrich Hegel is very difficult to read. 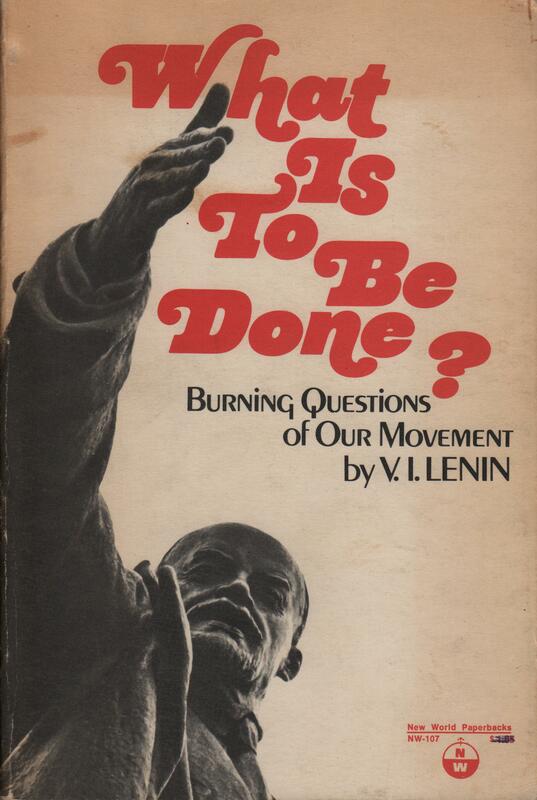 If one wants to understand Hegel’s revolutionary philosophy (dialectics), the best critiques in history are those of the Russian Marxist– Georgi Plekhanov. David North of the ICFI has written extensively on Plekanov. Vladimir Lenin said Plekanov’s writings are the best education on the writings of Hegel, and essential reading for those who seek understanding of his complex philosophical ideas. There is no mention of any these essential references from Zizek or Peterson, who probably haven’t even read them, as neither has any real interest in truth, but only elevating themselves. Both of these ivory tower hucksters are hung up on “hierarchies,” which is awfully convenient. Coincidentally, capitalism is hung up on hierarchies too. These “thinkers” don’t ever see beyond their own noses. Revolutions happen in history, but never in their thoughts, analysis or conclusions. Thus, when a revolutionary crisis presents itself, all this pseudo-intellectualism vanishes into nothing. The millstones of history grind exceedingly fine, and Zizek & Peterson are destined for it’s collective dustbin. This spectacle did nothing to raise the intellect of humanity. It was really two phony emperors strutting in their underwear. With that said, Slavoj Zizek naked is another painful image, but it has value– in the negative. Physically Slavoj Zizek is a mess: overweight, slumping in posture, constantly touching his face & nose, and slobbering in his speech. If Zizek is a genius, then why doesn’t he fix his lisp, and learn to control his spitting? That’s also a measure of intelligence. I challenge Slavoj Zizek & Jordan Peterson to address this economic problem rationally. Globally in 2019, there is now roughly $55 trillion in government-held Treasury bonds that are worthless, but counted as “assets.” Consider the global derivatives market which is conservatively estimated at $1.2 quadrillion, and held almost entirely by big banks & investment houses. That’s 20 times more “assets” that are worthless, than what the world’s governments already hold. Global GDP is around $80 trillion, and can never grow fast enough to meet projected targets, so these futures are all unpayable. Unlike 2008, the sheer size of this fraud makes it impossible to be bailed out. When the next crash comes, capitalism will face a revolutionary crisis. This is the conundrum that Trump, the Democrats, and all the rest of their ilk seek to avoid at all costs, as its their heads that will roll. What do Zizek & Peterson have to say about this concrete problem? Nothing, at all. As mentioned earlier, Zizek & Peterson are anti-Marxists, which means they are (in the final analysis) apologists for capitalism, and well-paid for their services. Their celebrity is just another extension of this vast fake economy, that rests on free money from the central banks, which is used to prop up a capitalist system that is about to collapse. The rise of fascism is a serious political development, yet neither of these charlatans take it seriously. When ICFI chairman David North states in the video embedded above, “Fascism is punishment for the failure of workers to build a leadership,” one instantly grasps that meaning. 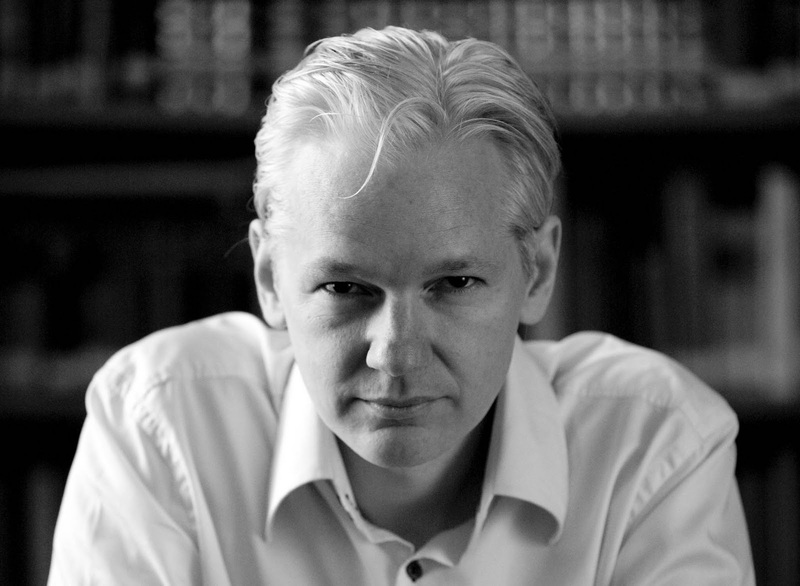 Intelligence is the ability to communicate complex truths directly & understandably. Those who attempt to dazzle their audiences with intellectual nonsense, are ultimately insecure in their ideas. Thus the constant nose-touching by Zizek. In the end someone who is smarter will challenge them, and eventually historical events will prove both of them wrong. That is an unavoidable historical truth. 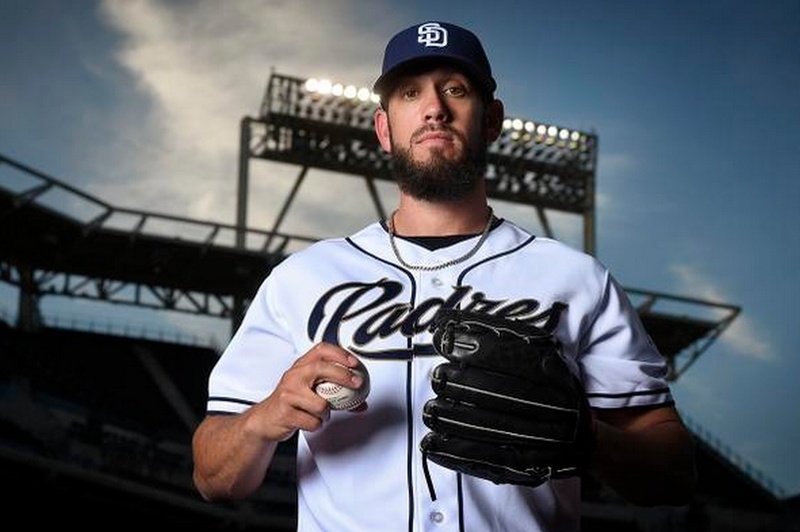 Let’s be clear on what James Shields is: 2-5, 3.12 ERA in 52 IP– in less than a quarter of a season, on track for another 200+ IP with an excellent ERA. He has been poorly supported in most of his outings, hence the losing record. All the other young pitchers (Colin Rea, Drew Pomeranz, Cesar Vargas, etc…) will likely be restricted to 120-150 (max) IP-limit, for their own protection. 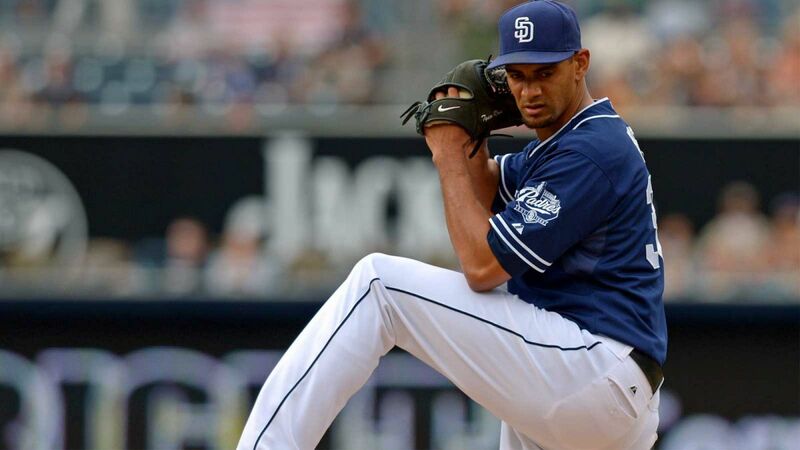 Padres can no longer count on Tyson Ross and possibly Andrew Cashner for awhile. $21M/year is what quality reliable starting pitching costs, and actually Shields’ contract is fair in open-market (capitalist) terms. If he doesn’t opt-out after this season he has $21M, $21M & $16M (team option- $2M buyout) remaining through 2019, his age 37 season. No one expects much after that, so it’s a good contract and I hope Shields stays– if the Padres can be competitive. Any organization has to insist on a reasonable base salary ($4-6M?) 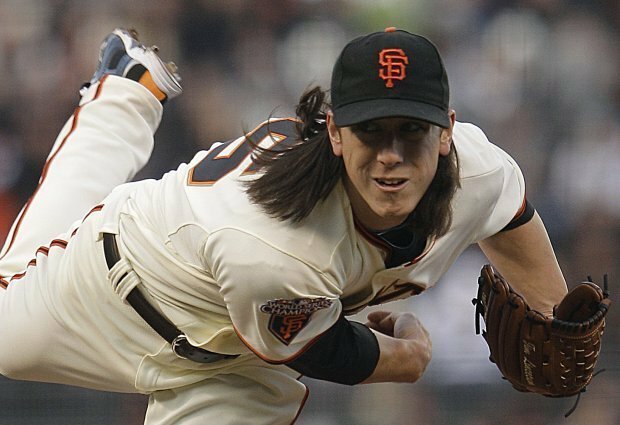 with performance incentives for Tim Lincecum. He’s got reward potential, but obviously is a huge injury risk– and clubs need to protect themselves. That’s surely what’s being negotiated now. “I got a long memory… He’ll learn.” — John Lackey on how Christian Bethancourt — whom the veteran hurler had never faced — watched his home run. That just sounds like an excuse to throw at Bethancourt the next time they meet. Padres (and their fans) have long memories too. For perspective, Christian Bethancourt is a 24-YO kid from Panama, trying to establish himself as a major-leaguer. He was obviously excited in the moment, but there was no intent to show up John Lackey, who is a quality veteran pitcher. 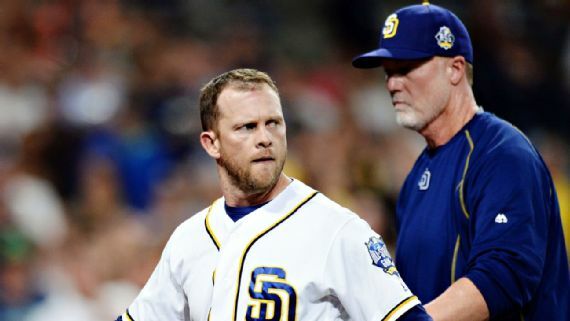 Bethancourt will ‘learn’ from Padres manager Andy Green, hitting coach Alan Zinter, and bench coach Mark McGwire– who knows all about HR etiquette. 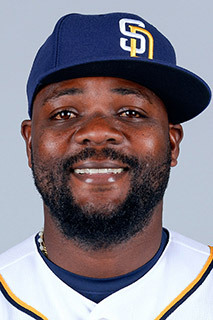 Padres closer Fernando Rodney shoots 2 arrows at Wrigley, in one day!! Padres need Brett Wallace to stick at 3B. Both his errors earlier today were throwing, which is easier to fix than a bad glove. He showed a decent glove with a nice pick to snuff a Cubs rally later, so there are signs of improvement. This lets GM A.J. Preller wait for Yangervais Solarte get 100% healthy, while getting a good look at Wallace who walks a TON and has a stick. A bunch of organizations have tried this guy and given up on him. He just needs some coaching, and a chance to play. Preller cleaned house (mostly), and kept what was essential (Balsley) this off-season, so their dugout staff is much stronger. Brett Wallace is another Preller lottery ticket, and it’s great that fans have bought into his plan of trying these guys out, with less regard for winning. It’s Andy Green’s job to put the expectation of winning on the players, so they don’t embarrass the organization and their fans, Green has done this well so far and Padres fans have (mostly) noticed & appreciate it. 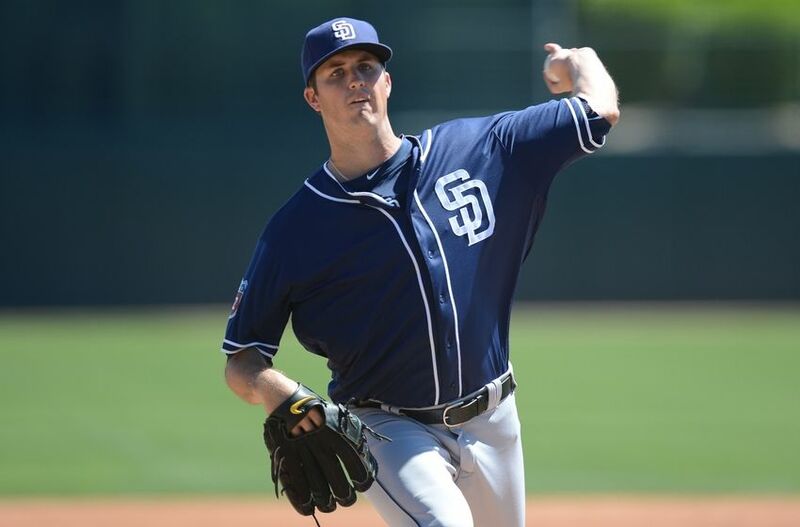 Padres now have much more upside, with young players like Wallace, Colin Rea, Drew Pomeranz, Cesar Vargas, Luis Perdomo, Jabari Blash, & others. An organization with brains that isn’t afraid to lose games, can quickly spot & develop its talent. 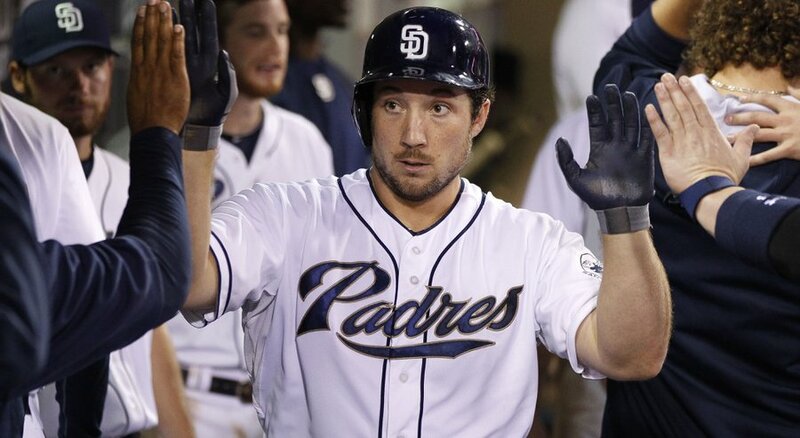 How many groin/hamstring/quad injuries for the Padres so far? Looks like Adam Rosales at 2B with Brett Wallace at 3B for awhile. Infield depth is now stretched to its limit, any more injuries at those positions and the Padres are well below replacement level. Who gets the call up? I know it was a great start for him, to get a win the Yankees needed– but it wasn’t worth it to land on the DL. A player has to be honest with himself & his team in that situation. 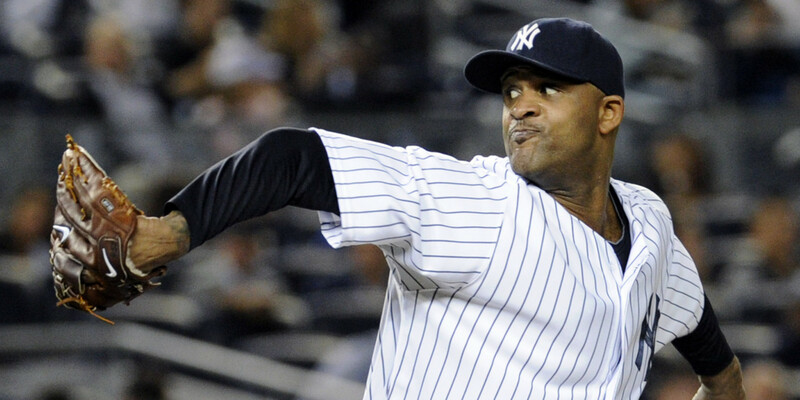 CC Sabathia’s quotes indicate he’s still in denial about his injury. Sad & scary; hope he figures it out. Thanks for this injury report, AJ Cassavell. The Padres approach with RHP Tyson Ross is correct– let the labrum tear heal, while building protective muscle in the shoulder. You can’t rush tears of ligaments, cartilage and tendons; if you try, you just risk setbacks with no real improvement. The labrum is a piece of fibrocartilage, therefore no throwing yet for Ross. He’s probably at least 4-6 weeks away from throwing, if things go well in his rehabilitation. If things aren’t going well, then much longer. Also, it sounds like LOOGY Matt Thornton will likely be awhile w/ his Achilles tendonitis. Appreciate Matt Kemp (career .289/.344/.491) is the point. 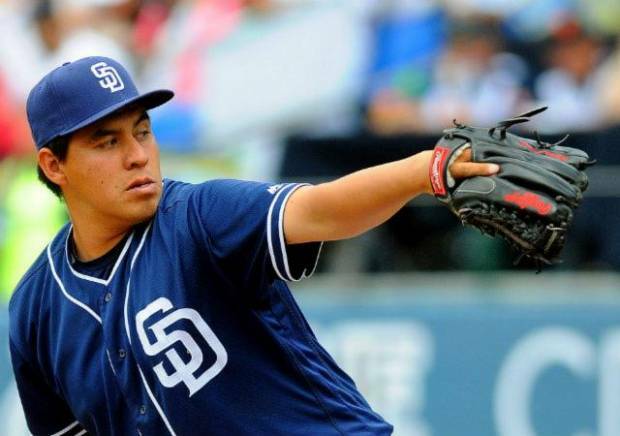 He may soon be a luxury the Padres can no longer afford. Meanwhile, appreciate him. For the record, it’s at least a push for the best player Wil Myers has ever played with. 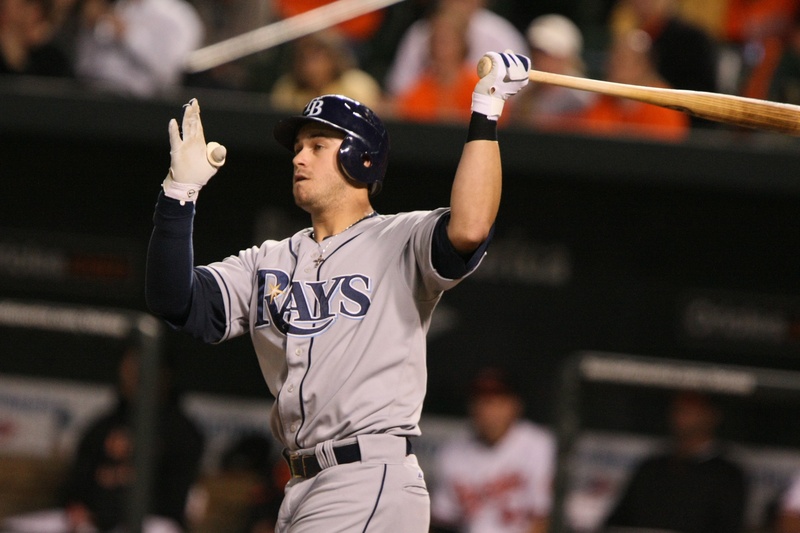 Evan Longoria 3B (gold glove) career .270/.346/.485. Can the Padres keep him healthy, or will he flameout? That is always the question with promising young pitchers. PadsFans: 8 shutouts in out first 28 games. I really don’t know any other way to describe it except pathetic. Luckily there’s some depth a C, so the chances of that turning around for the Padres are decent. ATL is the worst team in the NL (by far), precisely because they do stupid stuff like giving up on C Christian Bethancourt, who at least has upside. Instead ATL went with veteran CWS-rejects– Tyler Flowers & AJ Pierzynski. Matt Kemp is better defensively in RF, partly because BJ Upton covers so much room in LF, so CF Jon Jay can shade more to right field. Thus Kemp’s lack of range becomes less of a liability. Still not great, but at least passable in RF at present. BTW– if Jay (presently .271/.333/.323) can move his walk rate up a tick, he becomes a very valuable player. 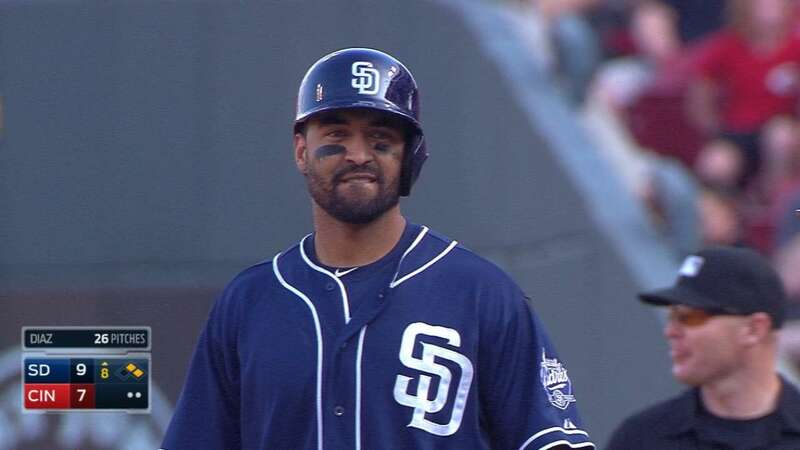 Matt Kemp increases his potential trade value, while beating the Dodgers– Padres fans approve! What the Padres like about Brett Wallace is that he walks. In 31 PAs so far in 2016 his line is .174/.387/.217. He’s walked 6 times, and been HBP twice. For comparison Matt Kemp has walked only twice (!) in 91 PAs for a .284/.297/.591 line. It’s the low OBP (lack of walks) that hurts Kemp’s value at the plate. Wallace is brutal defensively at 3B, and not much better at 1B, so his value is primarily depth off the bench– until an opportunity presents itself. His career .399 SLG is pedestrian, and needs to improve. Support White and Niemuth in 2016! SEP has tried ballot access in the past and has always been blocked & cheated (every step of the way) by Democratic Party machinery, proving it’s mostly pointless to pour resources into reformist measures. 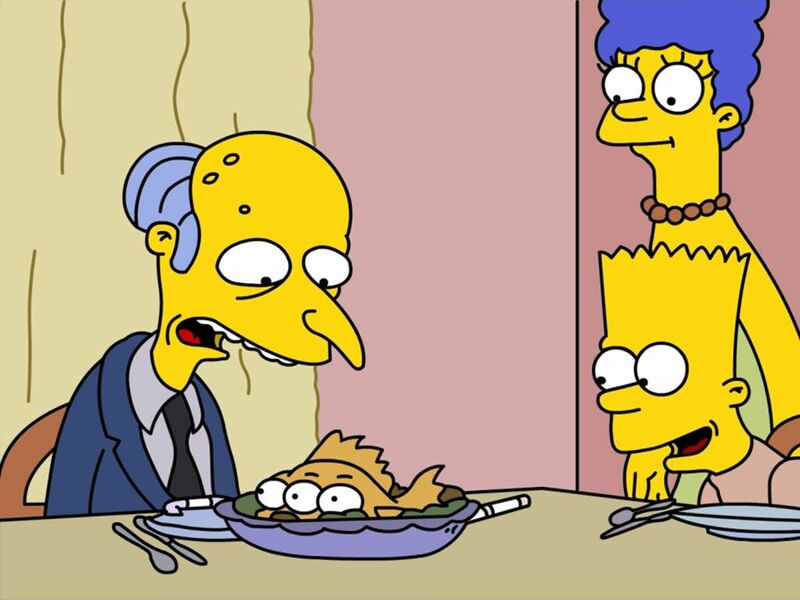 Barack Obama drinking Flint water is reminiscent of gubernatorial candidate Montgomery Burns eating 3-eyed fish on The Simpsons. There are important parallels between David Walsh’s discussion of ‘feminist filmmaking’ and current ‘feminist’ politics, personified in Hillary Clinton. “The Decision to Use the Atomic Bomb” by Gar Alperovitz is the scholarly work on the subject, and was referenced in an older WSWS article. Also read the “Hiroshima Diary: The Journal of a Japanese Physician, August 6th – September 30, 1945” by Michihiko Hachiya for details of its horrible aftermath. 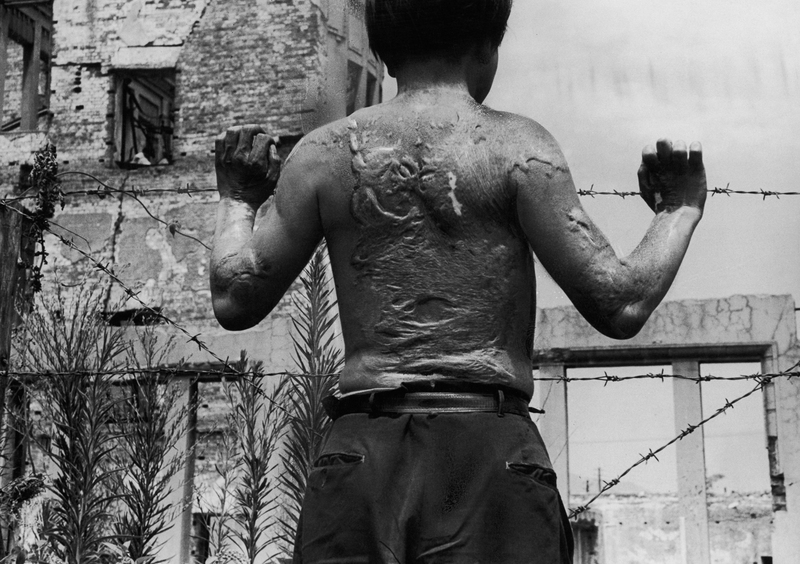 The Hiroshima & Nagasaki atomic bombings were imperialist war crimes of the highest magnitude. The theoretical founder of socialism was Karl Marx (1818-1883). 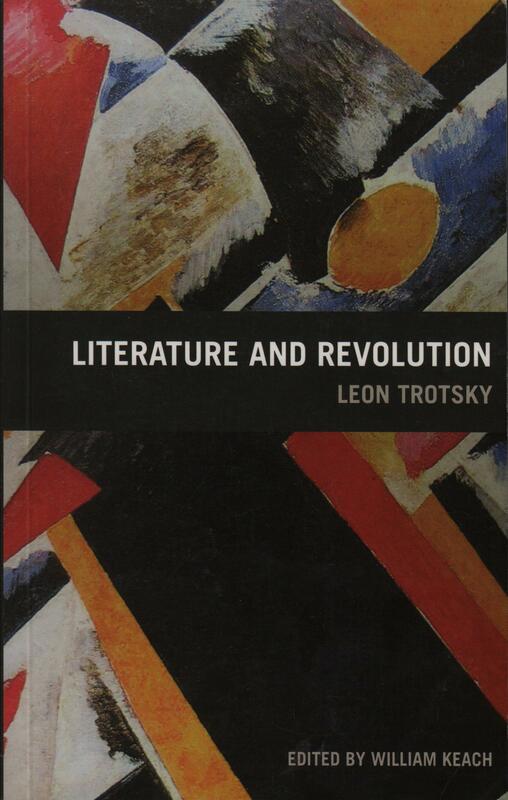 The most brilliant expression of 20th-century Marxism was Leon Trotsky (1879-1940). 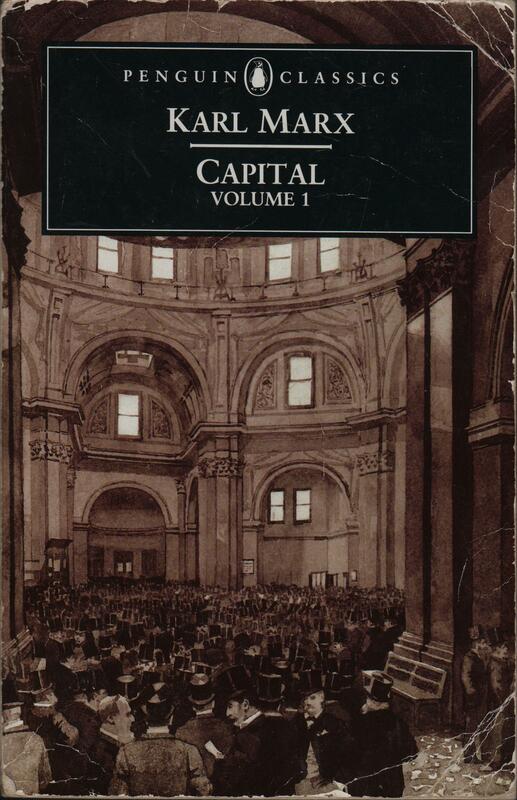 True socialists have read & absorbed these books. Pseudo-socialists don’t read anything serious. Socialists understand the USSR was Stalinism, which is collectivist property relations controlled by a fascist bureaucracy. 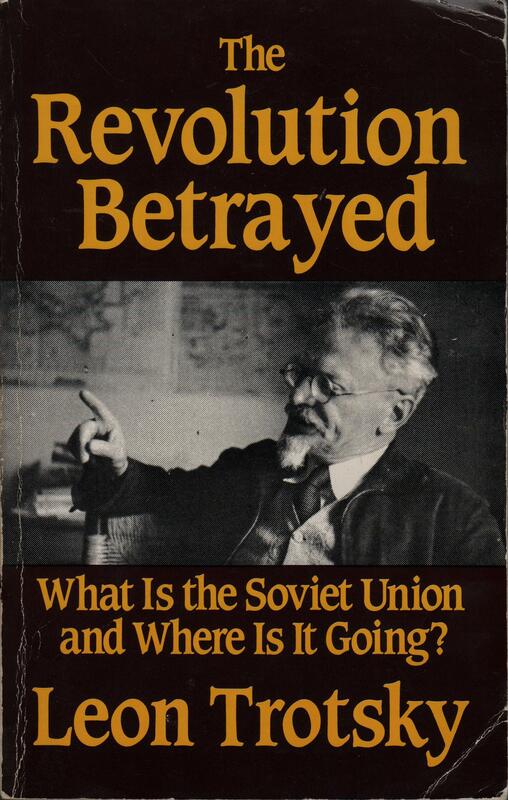 Trotsky fought ceaselessly against Stalinism, and was historically vindicated in December 1991, when the Soviet Union collapsed back into capitalist Russia. 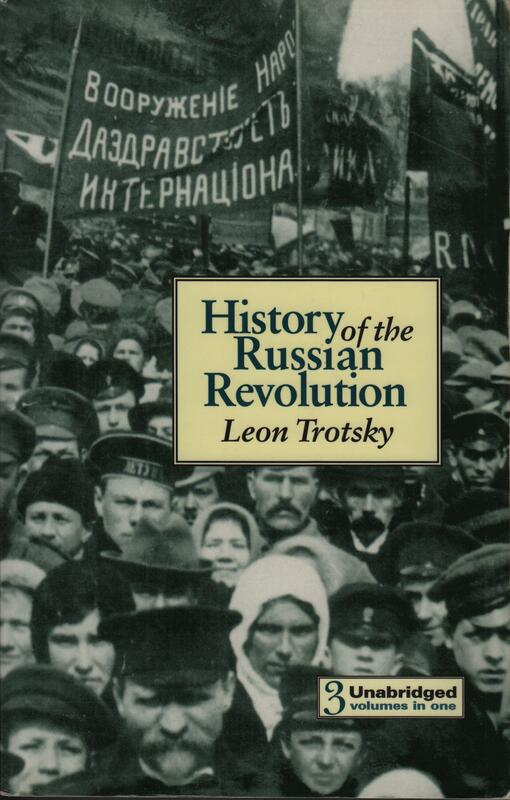 If Russia hadn’t had a workers’ revolution led by Lenin & Trotsky in 1917, it would be completely dismembered (balkanized) today. 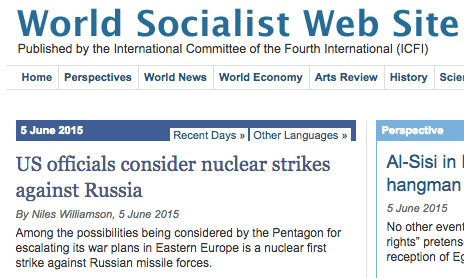 Instead, modern Russia retains much of it’s size, and possesses the second-largest nuclear arsenal in the world. A third world war would end human civilization. Today’s thermonuclear devices are orders-of-magnitude greater than the atomic bombs dropped on Hiroshima & Nagasaki at the end of World War 2. 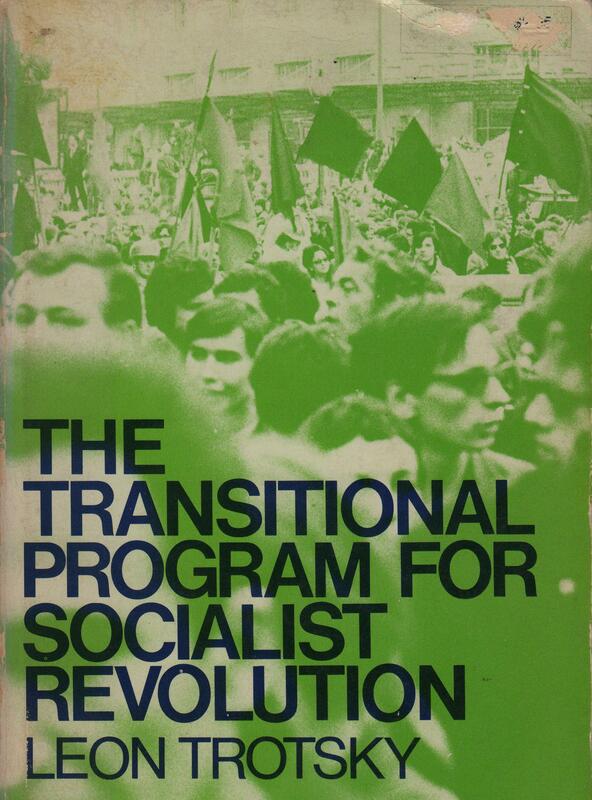 Human society can only be preserved (meaning a world war can only be prevented), by a permanent socialist revolution led by the workers & youth of the U.S. The epicentre of global capitalism (culturally, economically & militarily) is the United States; a socialist revolution here leads the way for the rest of the world. 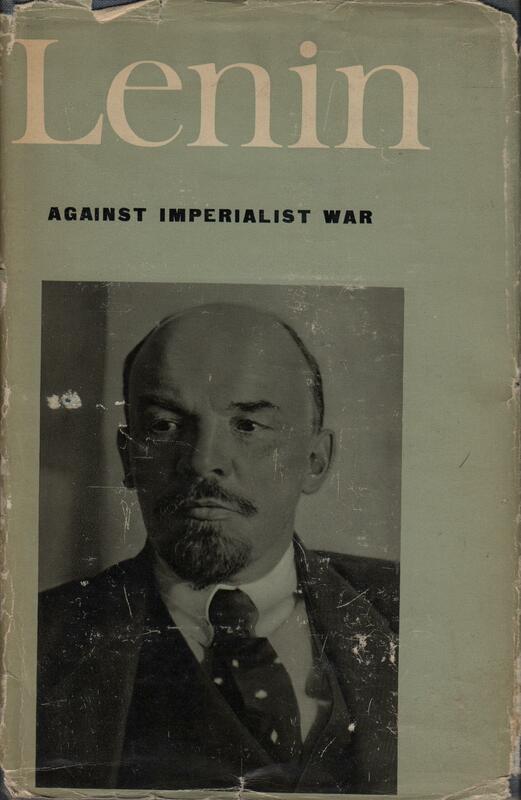 Marxist analysis in the 21st century is found at the World Socialist Web Site— wsws.org. 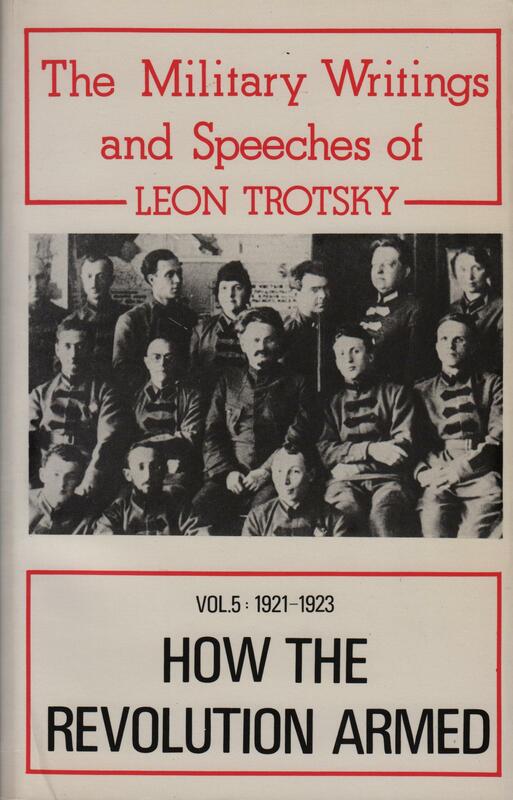 The WSWS is published (6 days a week, since 1998) by the International Committee for the Fourth International (ICFI), the party founded by Trotsky in 1938. To those interested in actual socialism, this is the only choice. If you would like to be a socialist, you must put in the work. Every other leftist political party, from the Democrats & Greens to the anarchists, are opportunist– meaning they are capitalist to the core. 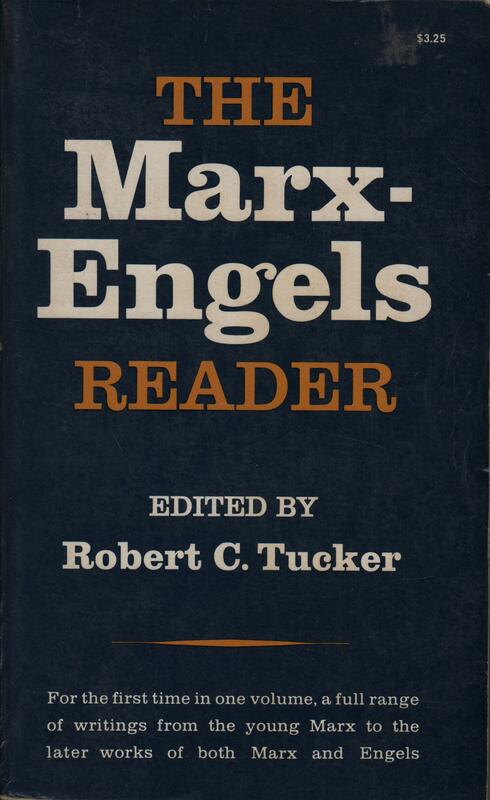 Marxists always spot them quickly, and easily dispatch them when engaged in polemics. That’s why Trotskyists are always blacklisted from ‘official’ discourse. Those who are politically naive, but well-meaning, need to work through this as quickly as possible. Read the books shown, along with the WSWS on a daily basis to arm yourself politically.